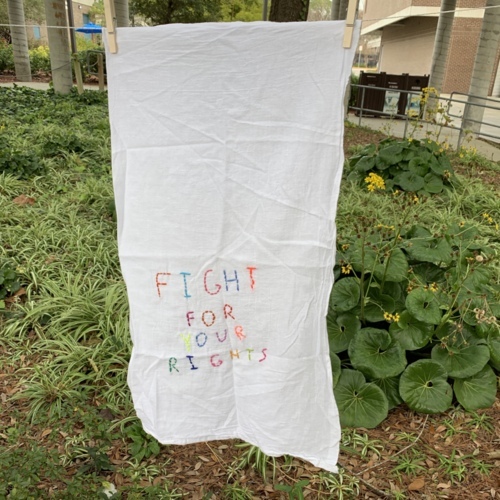 Image Description: A cloth folded vertically with the bottom of the cloth showing "fight for your rights" embroidered in different colors. 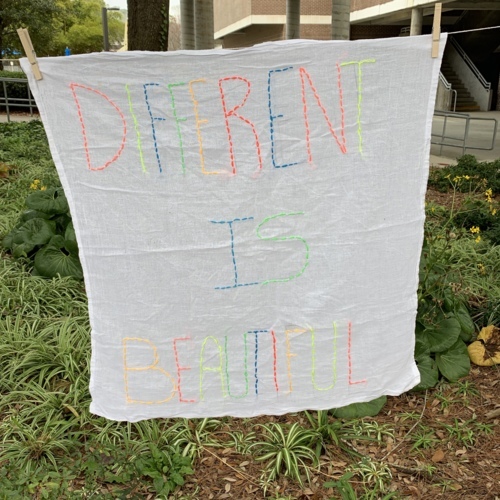 Image Description: In several different colors the phrase "different is beautiful" is embroidered. "Policies regarding animal rights are usually put on the back-burner due to more important political issues." 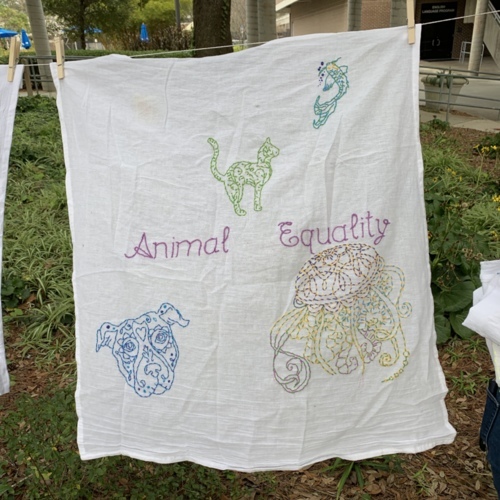 Image Description: The word Animal Equality embroidered pictured with a tiger, jellyfish, dog, and fish.